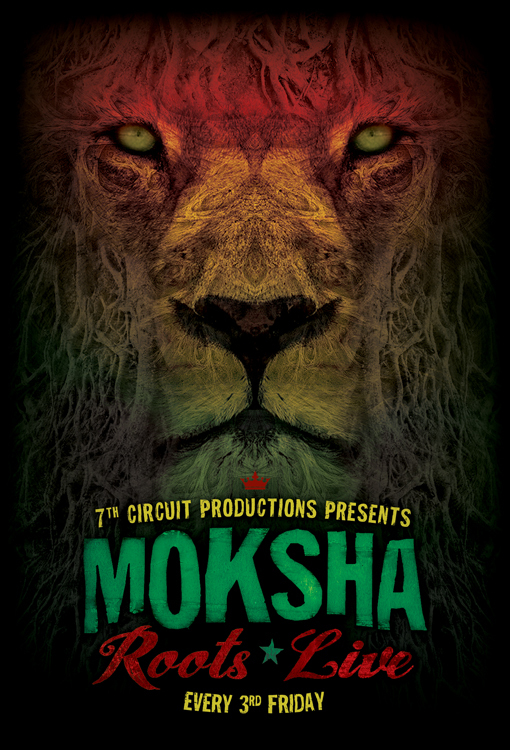 7th Circuit Productions and Moksha Family Arts Collective presents..
Moksha Roots Live also in part by Artist for Community Evolution. our local artists and community projects. while supporting the Moksha movement and keeping the vision alive. as far as West Africa, Europe, Asia and beyond. 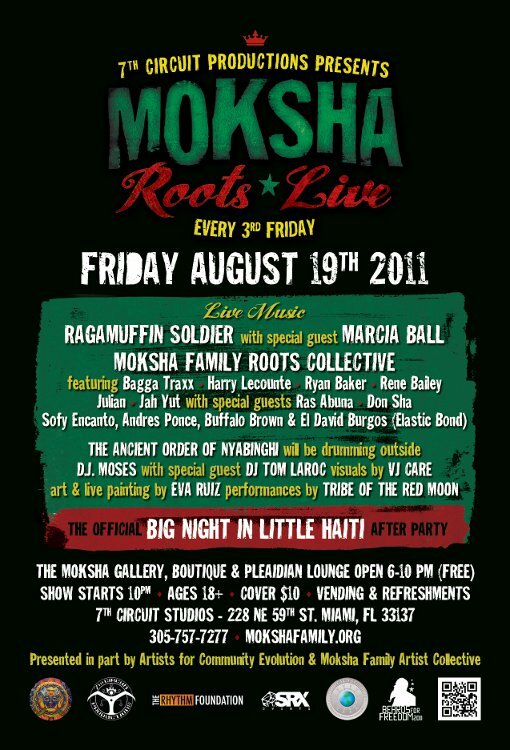 Miami’s finest roots & world music musicians with international guests. ~Don Sha ~ Miami’s Reggae Don. recipient of the Qool award for best reggae in South Florida. and throughout all of Florida. to spin at leading nightclubs in Miami, New York, Los Angeles. invites you in to discover how glorious, diverse and deep music can be. Latin America are all represented in his selections. and share it. Change doesn’t happen by it self, we must bring it. captivating his audiences with joy and inspiration.